Generates secure passwords based on the Stanford PwdHash project. Is there a better alternative to Locksmith? Is Locksmith really the best app in Security category? Will Locksmith work good on macOS 10.13.4? Locksmith generates secure passwords based on the Stanford PwdHash project. 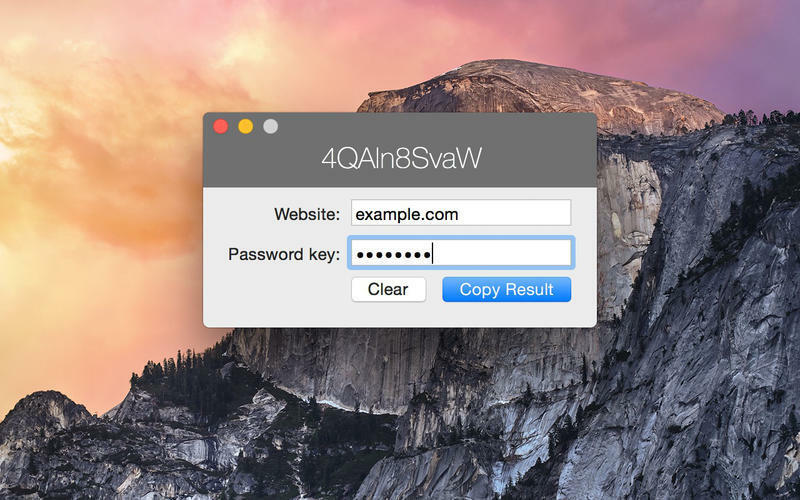 Use a password key to generate unique passwords for every website. Enter the address of the website. Enter a password key of your choosing, which is the only information you need to remember. The same key should be used for every website. It's a good habit to change your passwords regularly. To generate new passwords, simply choose a different password key. fixes a minor display issue. Locksmith needs a review. Be the first to review this app and get the discussion started! Locksmith needs a rating. Be the first to rate this app and get the discussion started!